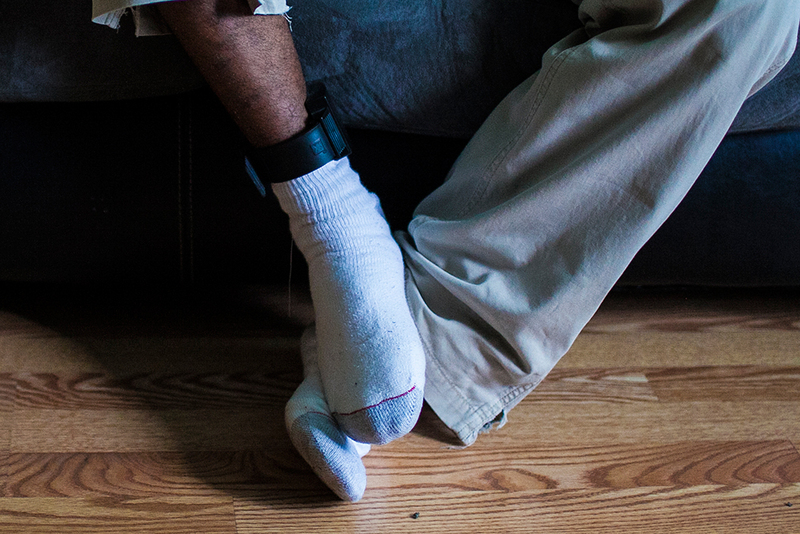 House arrest using electronic ankle bracelets is one of the alternatives to incarceration. In states that have undergone reforms to reduce their prison populations—a club Gov. Bruce Rauner said he wants Illinois to join — more non-violent offenders are ending up on house arrest, probation or in drug treatment programs instead of behind bars. A 28-person commission established by Rauner is charged with, before the year ends, formulating an evidence-based roadmap for shrinking the prison population 25 percent by 2025. What goes in their report could mirror measures seen in other states, possibly with tailor-made solutions for Illinois’ population of nearly 50,000 adult inmates. About half return to prison within three years of release, according to the Illinois Department of Corrections. The first meeting of the Illinois State Commission on Criminal Justice and Sentencing Reform is scheduled for Thursday in Springfield. The executive order that established the commission noted that the state prison population has increased by 700 percent over the past 40 years while crime rates have fallen by 20 percent. The budget for the Illinois Department of Corrections is about $1.3 billion a year. Commission member John Maki, who heads the Illinois Criminal Justice Information Authority, on Tuesday said Illinois is one of the more recent states to look at ways to reduce its prison population. Maki used the examples of North Lawndale and Englewood to show what is at stake. With high rates of poverty and crime, the neighborhoods have long suffered from the consequences of mass incarceration. Kathy Saltmarsh is executive director of the Illinois Sentencing Policy Advisory Council and also serves on the commission. She said many states, such as Ohio, have tried to keep people out of prison in drug-possession cases by raising the amount required for a felony, allowing probation for larger amounts of substances and reducing felony terms. She also said she’s seen states increase retail theft thresholds for felony offenses so fewer people are imprisoned for petty crimes. Maki said Illinois should draw from the menu of reforms used elsewhere while looking toward homegrown programs like Adult Redeploy Illinois, which has kept low level offenders out of prison and gives jurisdictions financial incentives to use community-based sanctions and services for non-violent offenders. Those incentives include grants to counties, groups of counties, and judicial circuits to increase programming in their areas in exchange for reducing the number of people they send to state prisons. Adult Redeploy Illinois was created by state law. Both Maki and Saltmarsh sit on its board. Commission member Jerry Butler, vice president of community corrections at the Safer Foundation, said Illinois is burdened by laws enacted decades ago, specifically mandatory sentencing guidelines and “War on Drugs” policies that have landed too many drug users and petty offenders in prison. Safer focuses on reintegrating released prisoners into society. “Today people are looking at those ideas with a different lens, and they’re looking at the individuals and what their backgrounds are and if they really are a threat to public safety,” he said. Butler highlighted efforts by Texas, Ohio and California to shrink their prison populations. What’s worked in those places, Butler said, is that the states bought into community corrections the risk- and needs-assessment tools needed to determine punishments, reform sentencing guidelines and create diversion programs as alternatives to prison. From 2001 to 2011, Texas passed a plethora of reforms, that allowed the state in 2013 to close two prisons to the tune of nearly $100 million in estimated savings, according to a report. Ohio passed a comprehensive sentence reform bill in 2011 that removed disparities between sentencing for crack and powder cocaine possession that critics have called discriminatory. The law also raised the threshold for felony theft charges from $500 to $1,000, and required the state to make re-entry plans for offenders to reduce recidivism. In November, voters in California voted in favor of Proposition 47, which would reduce sentences for thousands of low-level offenders. The California state legislature predicted savings “could reach the low hundreds of millions of dollars annually,” which could be invested in programs focused on dropout prevention, mental health, substance abuse and other issues. A proposal by police Superintendent Garry McCarthy to institute harsher sentences for gun crimes and a proposal by some aldermen to arrest more people for “quality of life” crimes have little to no backing in research.